Tires are the most essential part of a vehicle for over a hundred years. A good set of tires determines your ride, and your contact with the road. The best of engines, sturdy brakes and breath taking designs, with the most amazing technologies used to build your car hold no importance when your car tire is unable to perform. So when your car tire is not suitable, worn and torn with its constant battle with hot and cold weathers, and bumpy rides, it's on its journey to causing a hindrance to the safety of your vehicle and the passengers too. If your car tire is old, worn out, deflated and needs a replacement, these are few of the dos and don'ts you need to consider to make an informed decision over purchasing the right kind of car tire and not worry about the validity of your medical insurance as well your car insurance. 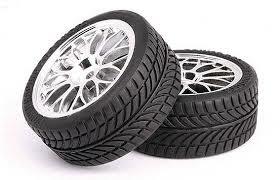 Car tires are flexible in nature and contain compressed air providing all the support the vehicle needs. Tires allow the vehicle to move forward, backwards and side to side. The fabric used to build a car tire is capable of holding together the air and give the vehicle enough stability as well as give the passenger a smooth ride on difficult paths absorbing the bumps. Mistakes consumers make while purchasing or replacing a new tire is underestimating the importance of the size. Not only does the size matter, the ability of the tire to endure harsh paths, extreme weathers plays an important role in selecting a good car tire. A car tire must be able to survive the constant heat it is exposed to on the road. Heat is a tires worst enemy. Even though a car tire’s lifespan is about seven to ten years, exposure to harsh weather and roads only makes it less and damaged. Based on the car you possess and the kind of load it supports, selecting a car tire requires immense research. When buying or replacing your car tires, you must consider looking back at your previous tire. If your tire was unable to deliver good performance you must consult with tire experts and research. However if you were content with your previous tires, all you have to do is contact your dealer and have them replace your tire with the exact same brand and quality. Do not jeopardize the performance of your car and the safety of passengers by selecting tires that are cheaper on the pocket and available at discounted rates, because those tend to be previously used and mended, not entirely to perfection. Tires are made of rubber and rubber compounds used or unused, with time begin to deteriorate and hamper the performance of the vehicle. But here is a quick tip on how to judge your tires expiration, simply look for a four digit code that reads, for example, DOT 3112 i.e. The tire was manufactured on the 31st week of the year 2012. Be sure to not accept a tire that wasn't manufactured within the last year. Don't wait for that Tire Pressure Monitoring System to flash its warning lights, replace your car tires to enjoy that bump free ride. This is a good reason to ensure that you have tyre and rim insurance. Sometimes you never know whether you can trust the quality of your tyres until you have them on your car!